From 12-15 June the city of Dublin, in Ireland, will host the 27th edition of the European Facility Management Conference (EFMC). The event, which will be held at the Aviva Stadium, saw delegates from 50 countries across four continents in attendance last year. The audience is mainly composed of FM professionals seeking knowledge, ideas and solutions for their daily problems. It is also a unique opportunity to share experiences and to network. The EuroFM Ambassadors Assembly will take place on 12 June. The recent international EuroFM Ambassadors Programme has led to several representatives worldwide to become members of EuroFM to spread their philosophy and join forces. This meeting will serve to share experiences and propose the next objectives. The conference days will take place on the 13 & 14 June. Experts from Europe, US, Latin America and Asia will share their experience with the audience. Under the motto “One place, one voice, one FM”, this year the format will be an innovative concert-style approach at the AVIVA stadium central Atrium: all events will take place in the same space, so that attendees may maximise networking time without missing out on the highlights of the programme. Top bloggers, podcasters, influencers and motivators from areas such as customer experience, workplace engagement, and digitalisation will share the stage with leading researchers and renowned FM directors from international private corporations and official organisations. With no commercial or marketing presentations, each speaker will focus on conveying know-how, innovation and inspiration. This edition, some of the subjects will be further explored in Open Workshops. Throughout the day, specialists will share their expertise with attendees, who may in turn participate and generate debate. All findings and conclusions will be included in a report distributed freely after the event. Aware that the future of FM lies in the solid academic training of tomorrow’s professionals, a place under the spotlight will be reserved at the workshops for students. A prize will be given to the most outstanding student at the awards ceremony on Friday afternoon. The Best of the Year in all categories, not only in academia, will also be announced. A cocktail party will conclude two intense days with over 45 speakers and half a dozen workshops. Finally on 15 June guided tours will be held. Experts will show emblematic buildings, providing a great opportunity to learn first-hand the management of buildings and their facilities. 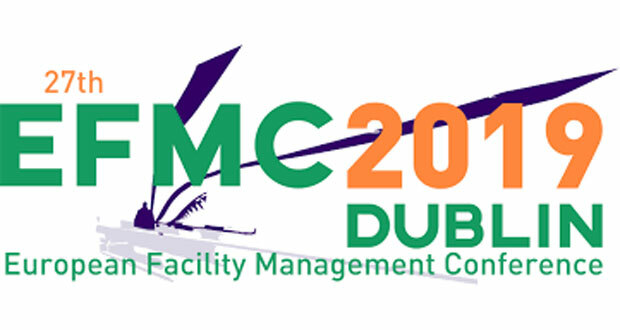 The complete EFMC program can be found by clicking here.